We are very excited to have you speak at this year’s Tech Open Air! We’ve put together the following guide to make your experience as smooth and enjoyable as possible. We want to make sure that your talk is the best it can be and that your presence is something that attendees will remember for years to come. We kindly request you to come to the speaker pick-up point in the speaker lounge 30 minutes prior to your session. Here you will be met by the speaker manager who will guide you to the correct stage. Your session will be introduced by our stage host. You will have a clicker to move through your slides, a preview screen and a timer to let you know how much talk time is left. A laptop with internet access is provided for every stage located in the back of the room in the technical booth; remote controls and laser pointers are available on stage as well as preview screens and a timer. We will provide a Windows and a Mac Laptop with Microsoft Office, Apple Keynote (NOT Pages) and Adobe Reader installed (which means the following formats can be read: .key, .ppt, .pptx, .pdf). If you want to include videos, make sure they are embedded and send the video files separately as well! Please also provide us with a PDF version of your presentation. To ensure smooth operation please upload your presentation to our dropbox and bring a backup on a USB drive. Please make sure to use standard fonts or to provide formats with embedded fonts. All visual materials have to be submitted by June 1st. If you cannot use our provided laptops please make sure that your own laptop or tablet has a HDMI or DVI interface or bring a suitable interface/adapter. Please also keep the German plug in mind since we cannot provide additional adaptors. The format of your slides should be 16:9 in Full HD. A mini-jack connector will be provided for sound. Please tell your stage manager whether you want to use audio beforehand. All sessions be audio recorded and published online. Studio 1 will be filmed and livestreamed. Your presentations will be made available to a selected audience after our conference. If you do not want to be recorded or your slides to be published, please indicate this clearly by sending us an email before the event. 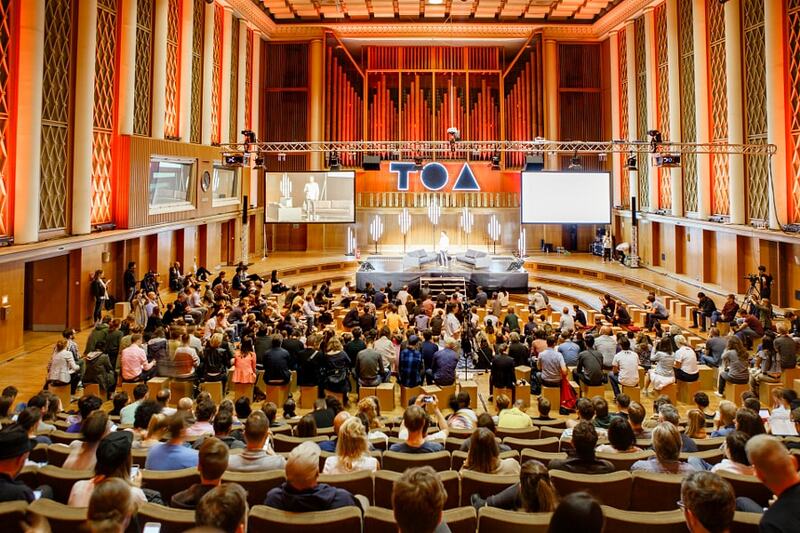 By participating in TOA18 you agree to a liability exemption in case of copyright breaches that occur during your presentation.